← Lake Champlain Region Creatures – Oh, My! Nearly 80% of females reported experiencing at least one incident of physical or sexual aggression by the age of 22. Get involved and change the stats! 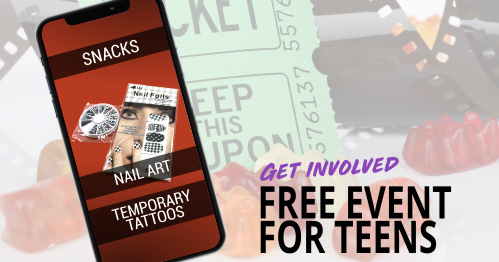 Attend free events for teens featuring nail art, temporary tattoos, snacks provided by Stewart’s Shops, and a movie.